Sierra Nevada Brewing Company isn’t exactly a tiny, unknown microbrewery in need of promotion, since you can buy their beers in pretty much every state. But I recently got a chance to visit their headquarters in Chico, California and try some of their beers you can’t get in the store or are much more difficult to find. Greyson and I went for an early dinner at their Taproom (be sure to order the beer cheese if you’re there!) and split two samplers. The samplers were pretty small, which is why we ended up going for two. We were glad we ended up being able to try so many different beers, and the samplers were very reasonably priced (I want to say somewhere in the $5 range? Sorry, I don’t remember!). One note – they don’t tell you which order to drink the beers, which is usually standard when ordering samplers for maximum taste enjoyment. We organized them by IBUs, going from least bitter to most bitter, which seemed to work just fine. I tracked my tastings using the Untappd app (which isn’t my favorite, but it’s the best I’ve found so far. Any suggestions?) Spoiler alert – I really, really enjoyed most of them, but the overall winner for delicious drinkability (#1 qualification for growler purchase) was the Pilsner *- a result that surprised myself! We shared the growler with 2 friends when we got home, and it did not last very long! The Best Bitter was another surprise for a close second place and I would also recommend in the growler volume. Sierra Nevada Brewing Company is a brewery with an environmental focus, delicious beers, and is always supporting great local and regional causes, and I’d heartily recommend their beers you can regularly find in stores (especially their original Sierra Nevada Pale Ale in a can). If you ever get a chance to visit their brewery in Chico or sample some of their less available brews, you won’t regret it! While we don’t have any snow yet in Tahoe, it’s started to get plenty cold. I’m afraid my outdoor climbing season might be over for the year. But I did manage to get one more day of climbing in last weekend when I was up in Truckee, in a great spot for people new-ish to outdoor climbing (like me!) and their more experienced climbing partners (Greyson). We were up on Donner Summit in an area known as Green Phantom which has a variety of routes from 5.6 – 5.10+. We didn’t end up climbing on the actual Green Phantom this time (there were other people on it and we were freezing), there are several other bolted top rope routes available for climbing. We like climbing in this spot as it’s a quick and easy to access (you can hike down from the top or rappel) and is usually way less crowded than the other busy Donner Summit spots. Green Phantom is made fairly obvious by its green coloring, and the other top rope routes are located to the right on the shorter faces. We usually warm up with an easy (5.6 according to Local’s Guide Rock Climbs of North Tahoe) route on the left corner of the shortest, furthest right face. There’s also a 5.9 crack climb (Fine Line) that’s obvious on this face. I made it up this one for the first time a couple of weeks ago, and I was so excited! This time around, it was so cold that we only lasted for two short routes each before calling it quits. I’ve played around on the middle face, not making it up a route with a tough undercling (Undercling Thing, I think), and going up a fairly easy route (which I don’t think it was an official route). I’m excited to tackle the Green Phantom when it warms up again this spring! Not only are these fun, fairly deserted climbs, but the view is killer! You’re looking down on Donner Lake and up to Grouse Ridge. You’re also pretty protected from the wind, but in the shade most of the day. If it’s a hot day, this is nice, but can really make for cold fingers on a late fall day. Make sure you also check out the view from the Donner Lake Overlook. Grouse Peak, another climbing and bouldering area in Truckee. Where: Head west and up Donner Pass Road (along Donner Lake) and park in the Donner Lake Overlook parking lot. Cross the road and walk under the bridge. You’ll end up on top of the routes. Turn right to find the anchors; turn left to head down the (slightly overgrown) trail to the bottom. After: When you’re done, you should head into town and find my favorite new addition to Truckee – Pho Real – a pho truck! I’d recommend the pork pho, but the veggie also looked amazing for vegetarians and those who are not soy averse. I was lucky enough to spend some time in Yosemite for a work training that I put on. (Lucky me!) While we spent most of our time in a classroom setting at the Yosemite Bug Rustic Mountain Resort (more on that later), we were able to spend a gorgeous fall afternoon in Yosemite Valley in Yosemite National Park. Fall is definitely my favorite time to visit Yosemite Valley. It’s less crowded, the temperatures are cooler, the waterfalls may be running again, and the changing leaves are amazing against the stark bare rocks and dark evergreens. We headed into the park on Saturday. After it rained all night on Friday and most of Saturday morning, the rain cleared out just in time for our arrival in Yosemite Valley. The precipitation had left a coating of snow on the high peaks surrounding the valley, while leaving the valley floor just a little muddy, and awash with the smell of fall leaves in the rain. After many years in the Pacific Northwest, that’s one of my favorite smells. Though the rain had cleared out, there were wispy clouds blowing in and out of the otherwise clear sky, resulting in gorgeous light and dappled patterns on the granite monoliths. We headed out of the park in the early evening and we were able to watch the setting sun as we drove away. If you’re going to be spending your days in a classroom looking at powerpoint presentation, the Yosemite Bug has got to be one of the best places in California to do it! I love hosting events at the Bug due to it’s perfect location, amazing staff, on-site amenities and gorgeous facilities. The Yosemite Bug is not just a great place to host events! Located in Midpines, California, it’s a wonderful home base for exploring Yosemite National Park – only 26 miles from the Yosemite Valley entrance which is open year round. The Bug has private rooms, tent cabins, and shared dorm rooms. It’s also a member of Hostelling International, if hostel hopping is your thing! Yosemite Bug is not at all paying me to say this – I just love the place so much and think that everyone should check it out, even if you’re just passing through for a meal. They also host events throughout the year like a Thanksgiving dinner, live music, Wilderness First Aid trainings, yoga retreats, art events, and scientific lectures, just to name a few examples. 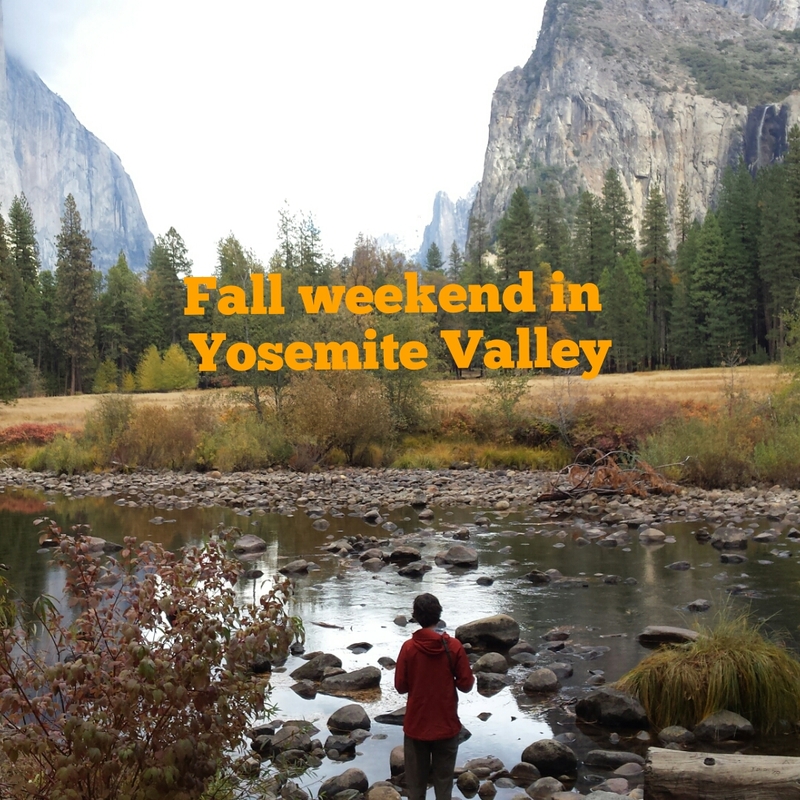 We had a great time at the Yosemite Bug and visiting Yosemite Valley in the fall. I can’t wait to make my way back, hopefully for my first winter trip to Yosemite! I was in San Francisco for work a couple of weeks ago for a conference that ended early Friday afternoon. I had hours to kill before my flight, so I headed over the Golden Gate Bridge to Sausalito. I grabbed a delicious iced coffee from Cibo of Sausalito and headed down to walk around the marina. I didn’t try any of their food, but what I saw other people eating looked amazing. It was a gorgeous Friday afternoon, and the sidewalks in the main part of downtown were extremely crowded. I started getting hungry, but there was a line out the door for pretty much every restaurant downtown. 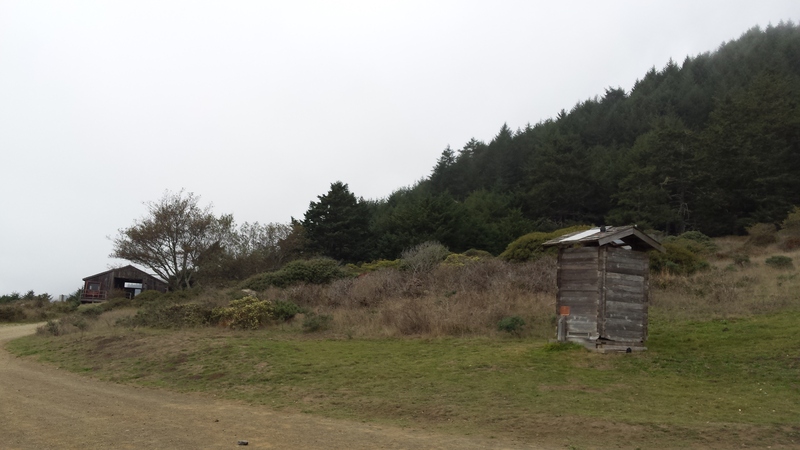 I headed back towards the marina, where I had seen some less crowded places. I ended up getting a burrito at Salsalito Taco Shop. Honestly, the burrito wasn’t the best, and I’d definitely try the tacos if I ever came back. Great homemade salsa though! Finally, I grabbed a cold Ninkasi Tricerahops IPA at Smitty’s Bar, a true dive in the best ways, a block or so off of the main street. Smitty’s wasn’t anything like the other places I visited in Sausalito, but I loved the local feel! Sausalito makes a great day trip from San Francisco, and there’s definitely enough to do to spend a few days exploring. I can’t wait to come back and spend more time! Try This Beer: Orlison Brewing Co. I have a special connection to Orlison Brewing Co: it started in my neighbor’s barn! I’ve tried Orlison’s Lagers every step of the way, and I couldn’t be happier about their success! “Orlison Brewing Co., located in Airway Heights, WA, is a small craft lager brewery looking to convert ale enthusiasts everywhere into true lager fans. Originally founded in 2009, years of tried and true brewing methods provide our team with the knowledge and capabilities needed to create the best craft beers available in the Pacific Northwest. We are also the first Inland Northwest brewery to can our beer, a distinction we are proud of. As a tried and true IPA (the hoppier the better!) fan, I was a little skeptical of the appeal of a lager. And, let’s face it, the vast majority of lagers I’ve tried are in the Busch Light/Budweiser realm. Not true about Orlison’s lagers. While all of Orlison Brewing Co.’s lagers are worth drinking, my favorites are their IPL (India Style Pale Lager), Pilsner 37 (a portion of the proceeds from this beer go to Team Gleason – a charity that provides life improving technology and services to individuals with MS) and the best light beer I’ve ever had – the Havanuther. You can find Orlison is near you by clicking here. Posted on September 5, 2014 August 23, 2017 Author Lynn BaumgartnerCategories Beer, brewery reviews, Tahoe Fabulous LifeTags Beer, craft beer, havanuther, ipl, lagers, light beer, local beer, orlison brewing co, pilsner, pilsner 37, team gleason, washington beer, washington craft beer, washington lagersLeave a comment on Try This Beer: Orlison Brewing Co.
A few weeks ago, I did an awesome trip through Montana and Wyoming with my parents. Check out my recaps of Glacier National Park and Gardiner, Montana. The next section of my trip surprised me by being my favorite place we visited. I had traveled through the southern part of Yellowstone in 2009, and I had assumed all of Yellowstone National Park was like that: bubbling mud, alien landscapes and the occasional bison. I couldn’t have been more wrong! We drove through the Lamar Valley in the north east portion of Yellowstone National park on our way towards the Northeast Entrance and beyond. The Lamar Valley is known as one of the best places to spot Yellowstone’s famous wildlife. This valley is habitat for bears, elk, pronghorn antelope, eagles, wolves, bison, bighorn sheep and more. In fact, Lamar Valley at dawn is the #1 place to spot wolves in Yellowstone! Most of Yellowstone’s most spectacular wildlife are most active at dawn and dusk. Though we were a little late for dawn, we managed to see huge herds of bison, eagles and osprey, pronghorn antelope and elk. My phone camera isn’t up to snuff for wildlife photography, so I really only managed to capture decent pictures of the large, stationary bison. In addition to the phenomenal wildlife, the drive from Gardiner, Montana through the northern part of the park has gorgeous mountain and river views. This part of the park was much less crowded than the southern sections, and we enjoyed the vistas in relative isolation. Who doesn’t love a great sunset over the water? Luckily, there are quite a few places to catch the sunset in the Lake Tahoe area. Here are a few of my favorites. Located at the corner of Highway 50 and Lakeview Avenue in South Lake Tahoe, this easy-to-access spot is usually bustling. During the summer, you can stake out a bbq, rent a paddle board or visit the high-class concession stand for gourmet hot dogs or local ice cream. You can also enjoy live music Thursday nights at Live at Lakeview. If crowds aren’t your thing, visit Lakeview Commons in the winter, when it is significantly less busy. A quick, 1.5 mile flat hike on the Tahoe Rim Trail from the Mount Rose Highway trailhead will bring you to a great spot to camp out and watch the sunset. There are plenty of flat rocks to post up on and get comfortable while you watch the sunset over the West Shore mountains of Lake Tahoe. I’d recommend bringing in a couple of beers and some snacks. Smoke particles in the air make for astounding sunsets. If you’re looking for an easy to access, but not crowded beach in South Lake Tahoe, I have to recommend Trout Creek Meadow/Lily Beach. You can access this area from the west end of San Francisco Avenue in the Al Tahoe neighborhood or from the bike path behind Meek’s Lumber. The meadow is a great place for bird and wildlife watching, so be on the lookout for coyotes and waterfowl of all kinds. Dogs must be on leash (and are banned during certain key bird breeding seasons) and no alcohol! Sunset over the East Shore boulders is a Tahoe must-see. I’ve talked about my love for hidden beach in a previous post. Check it out here! Cascade Lake and Lake Tahoe from a different angle. For our more adventurous sunset seekers, you could take a late afternoon hike up Mount Tallac, watch the sunset over Lake Tahoe and Desolation Wilderness, and then hike down under a full moon. This is a strenuous 9.5 out and back hike, with over 3,500 feet of elevation gain that starts at 6,500 feet. The views are definitely worth it!! Be prepared for the hike, especially if you plan to come down at night. You’ll need headlamps (plus extra batteries) and confidence in your ability to follow the trail in the dark. Want even more great places to watch the sunset in Lake Tahoe? Click here for more of my suggestions.